High Quality Strong Single Wall Cardboard Packing Postal, Parcel & Royal Mail Boxes. 10 x Single Wall Cardboard Postal Mailing Boxes 3"x3"x3"
A Pack Of 10 x Single Wall Small Postal Mailing Cardboard Boxes 3x3x3". Perfect for those small items, and for keeping postage costs down. These boxes are compliant with the new royal mail 'small parcel' guidelines effective 1 April 2013. 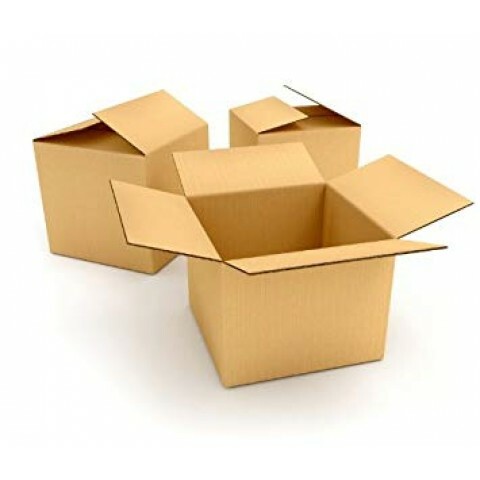 Single Wall Corrugated Cardboard Storage Packing Carton Boxes Inches: 7x5x5" Mm: 178x127x127 Cm: 17.8x12.7x12.7 A Pack Of 10 x Single Wall Small Postal Mailing Cardboard Boxes 7x5x5". Perfect for those small items, and for keeping postage costs down. 10 Single Wall Cardboard Postal Mailing Boxes 8"x6"x4"
Single Wall Corrugated Cardboard Storage Packing Carton Boxes Inches: 8x6x4" Mm: 203x152x102 Cm: 20.3x15.2x10.2 A Pack Of 10 x Single Wall Small Postal Mailing Cardboard Boxes 8x6x4". Perfect for those small items, and for keeping postage costs down. Single Wall Corrugated Cardboard Storage Packing Carton Boxes Inches: 8x6x6" Mm: 203x152x152 Cm: 20.3x15.2x15.2 A Pack Of 10 x Single Wall Small Postal Mailing Cardboard Boxes 8x6x6". Perfect for those small items, and for keeping postage costs down. 10 x Single Wall Cardboard Postal Mailing Boxes 8"x8"x8"
A Pack Of 10 x Single Wall Small Postal Mailing Cardboard Boxes 8x8x8". Perfect for those small items, and for keeping postage costs down. A Pack Of 10 x Single Wall Small Postal Mailing Cardboard Boxes 9x6x6". Perfect for those small items, and for keeping postage costs down.